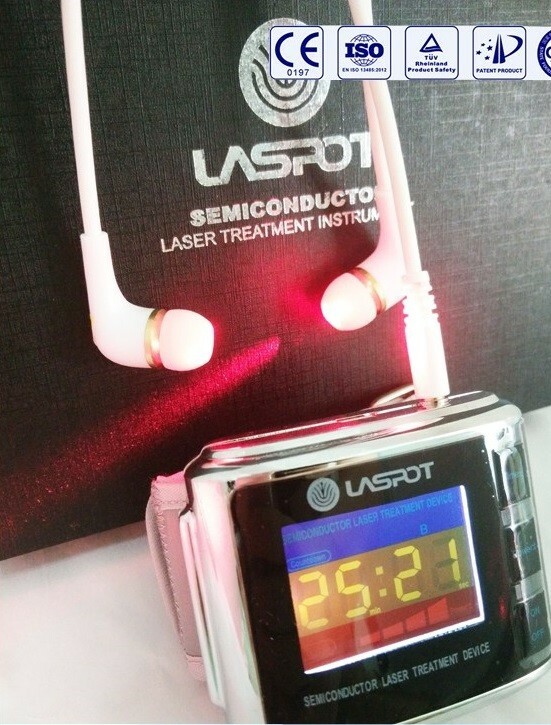 Tinnitus rehabilitation hearing loss ear ringing treatment device: GD07-W-3 Laspot laser watch, physiotherapy equipment, tinnitus rehabilitation treatment, hearing loss Ear ringing treatment device. 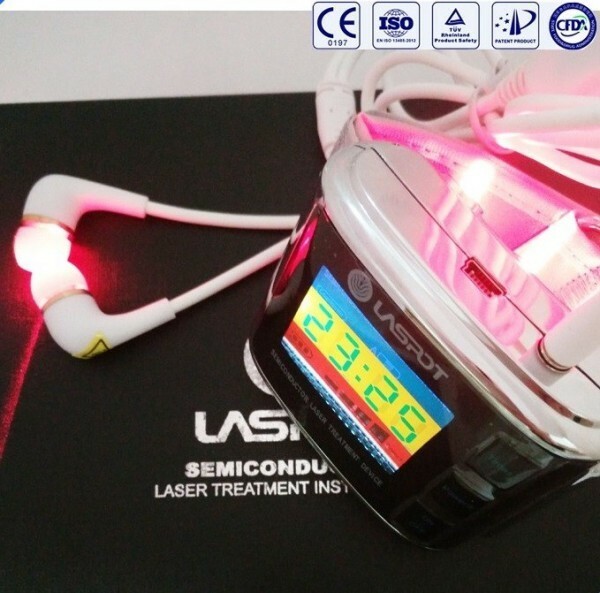 Laspot laser medical physiotherapy equipment tinnitus rehabilitation hearing loss ear ringing treatment device. LLLT is non-invasive, painless and totally safe green treatment. 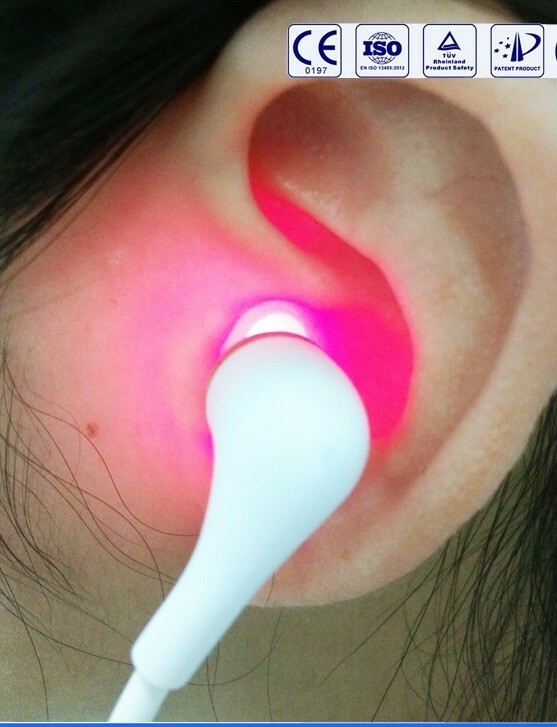 Soft cold laser is totally safe, with 650nm , 5mW, it is no pain , no side effect, zero damage to the tender ear. 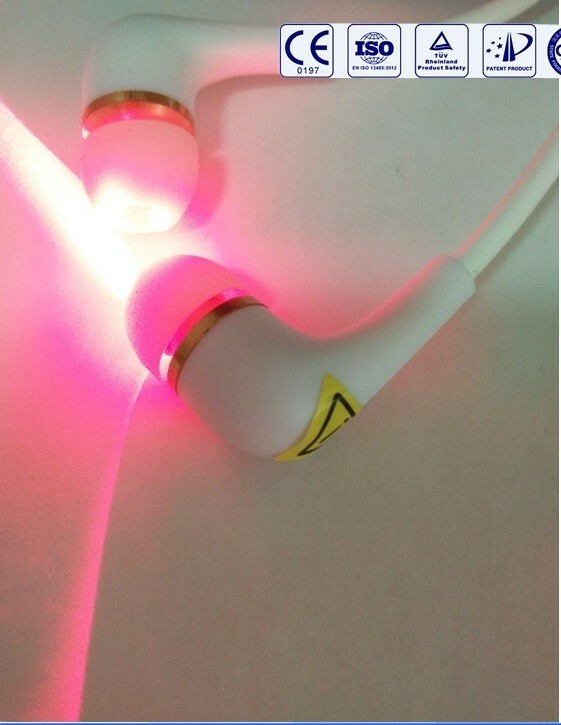 It is helpful for ear disease which not only caused by ear, but also neck, medicine side-effect, brain tumor, etc. 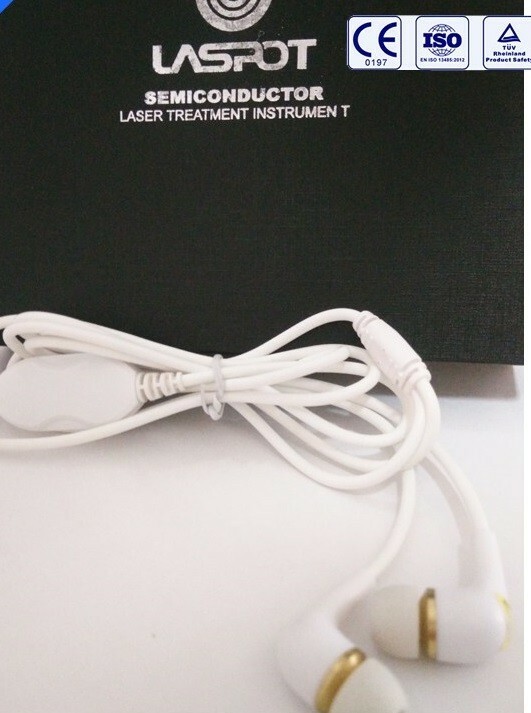 How to operate the tinnitus rehabilitation hearing loss ear ringing treatment device? Firstly, wear only for left hand. The device’s back part correspond with the radial artery. Then, stick the nasal cavity head into your nose for 2-3 cm and clamp the nasal septum. Press on/off key to turn on the power. Again press one second to start the treatment ( notice: long press of the on/off key will shut down the instrument). you can see the laser coming out from the phototherapy instrument probe during the treatment. After the treatment is finished, press and hold on/off key to shut down the instrument. Store in a safe place after cleaning ( gently wipe by tissue) the therapy head. 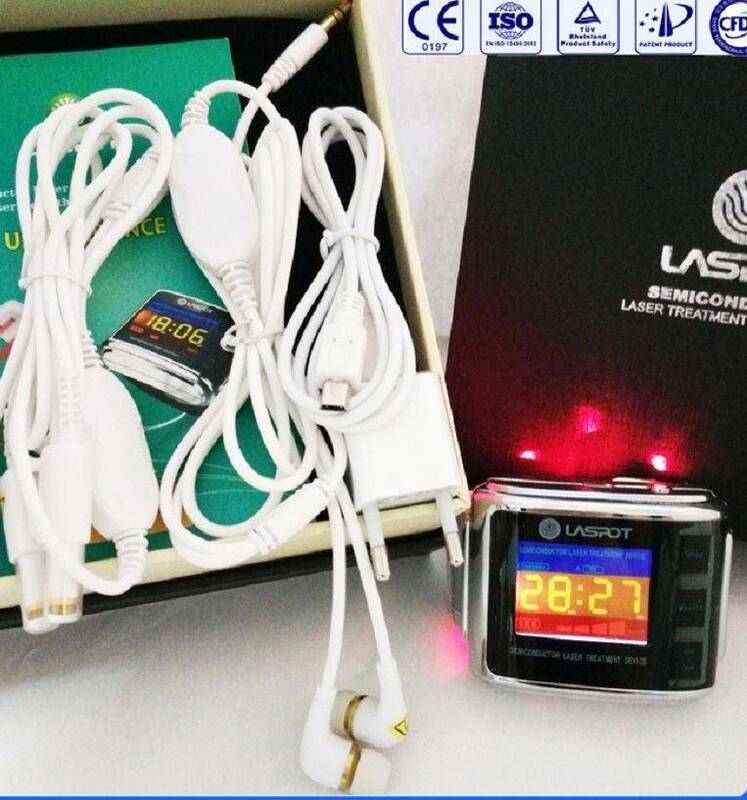 If you choose the pain relief probe for body pain treatment. Insert the pain relief probe into the pain relief probe treatment socket. Press the on/off key to start the treatment. How to find the radial artery? Using two fingers of your right hand to position the outside of the left hand’s first wrist line (see the picture). Then,use the instrument back part of the radial artery laser acupoint correspond with the hand’s radial artery to wear the instrument on your left hand. Delivery time depends on buyers’ locations. You may refer to our shipping and delivery page for estimated shipping time to your location. For Singapore address, it takes around 7-15 days for delivery. Please be patient, and we will provide you with detail tracking info of the shipping status.